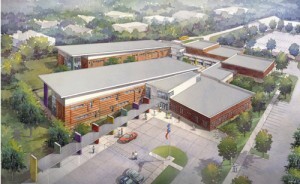 What Is The Best Security System For A School? If you have children, you probably worry about them constantly. Many parents find themselves constantly worrying if they are doing everything that they can to keep their children as safe as possible, and a lot of these parents find that there are things that they or those who they trust to care for their children can do to keep these little ones safer. You probably think about things like screening your babysitter to make sure that he or she is the right fit for the job or placing chemicals and other dangerous items out of your children’s reach, but you might not think about some of the other places where your children could be seriously harmed. For instance, many parents find themselves asking, “Do schools needs better security systems?” In fact, a lot of these parents are afraid to send their children to school due to all of the concerns that they have about the safety and security of schools and public areas in general. If you are worried about your children and the level of security that is provided in their schools, you certainly have a right to be; unfortunately, there are a lot of things that parents should be worried about in today’s day and age. However, there are plenty of great solutions to these problems, and more and more school administrators and parents alike are willing to work together to solve these issues. Has School Security Increased in the Past Few Years? In the old days, schools rarely had any type of security at all. Over the years, however, school administrators have been increasing the levels of security that are used among the schools in their regions; part of this has been due to crimes, vandalism and other similar issues, and part of it can be attributed to the increase in violence in various schools across the country and elsewhere in the world. There are a lot of ways that school systems are changing and utilizing new technology in order to keep children, as well as staff, safe in today’s world. For instance, many schools now lock the doors outside of certain time periods, which allows administrators to keep a close eye on how many people enter and exit the school each day. They also often have surveillance cameras, burglar alarms, metal detectors and more in order to keep everyone who is inside the school as safe as possible from harm and other crimes. Why Do Schools Need Better Security Systems? Many people do not realize why schools need tighter security and better, more modern equipment. For instance, those who remember attending school during a time when crime and violence was not prevalent often fondly remember attending a school that didn’t utilize cameras, metal detectors or other equipment at all. Many of these individuals feel as if people who want tighter security are overreacting, but there are a lot of reasons why schools need better security systems. For instance, crime and violence is a lot more prevalent in schools today than it was many years ago, and it seems as if this trend isn’t going away any time soon. Unfortunately, parents, students and school employees alike all have to worry about the safety of a school in today’s world, and it never hurts to be more careful. 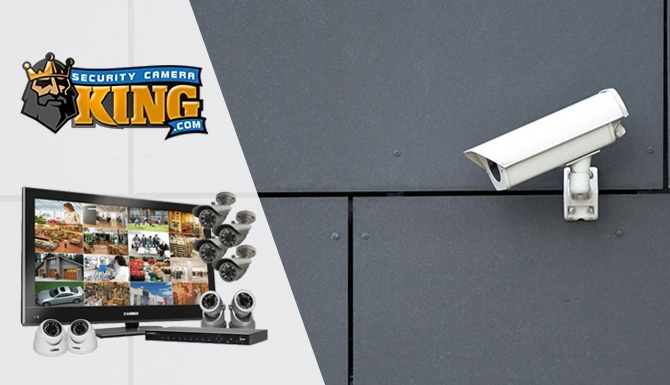 Although security camera systems and other security-related equipment cannot get rid of crime completely, it can make a major difference. Therefore, it is something that should be considered for every school and any public building, particularly places where children will spend a lot of their time. Unfortunately, there have been a lot of school shootings and other heinous attacks in schools in recent years, and no one ever knows when one of these tragedies can strike. These tragedies have occurred on both large and small campuses, and it even seems that no age group is being left out of these horrible trend. Therefore, it is important to utilize certain security measures to help ensure that shootings and other attacks do not happen in schools any more in the future. Although there is no way to completely eliminate these horrible crimes, there are a lot of measures that can be taken that can drastically reduce the chances of these things happening. School shootings aren’t the only things that people should think about when considered whether or not schools need better security systems. For instance, other crimes often occur; whether it is a fight, a stabbing or some other type of violence, children can be seriously harmed by either children or adults at school. Parents should also always worry about abductions and other crimes; although no one wants to think about these things, realizing the possibility of one of these crimes occurring can help parents and school administrators to be better prepared. 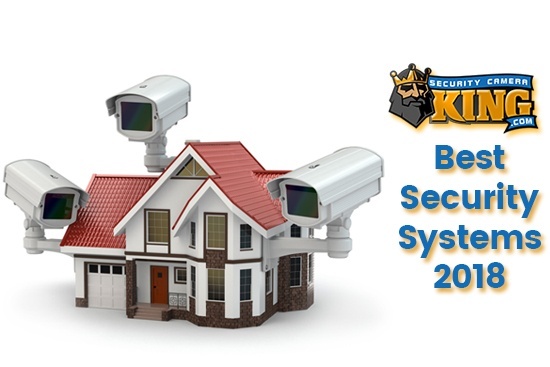 There are other crimes and behaviors that can be monitored with good security systems as well. Drug, alcohol and tobacco use has been prevalent on school campuses across the country for many years, and it can be difficult for busy and understaffed teachers and other school staff to keep a close eye out for this behavior. Good security and a good plan can help cut out this behavior, as well as other crimes, such as theft, vandalism, bullying and other problems. What Security Measures Should Be Taken in Schools? Not only do people question, “Do schools need better security systems?”, but they also often wonder what types of security measures should be taken in order to protect schools. Many people do not have a solid knowledge of different types of security-related equipment, and they often do not know which types of components, systems and security measures should be used in schools. For best results, it is best to utilize several different types and levels of security. For instance, keeping a close eye on all of the entrances and exits to the school is imperative. This allows school administrators to keep a close eye on the school, and it makes it easier for these individuals to keep people who shouldn’t be inside the school out. There are a few ways of monitoring these entrances and exits; for instance, many schools keep the doors locked during school hours and require school administrators to visually identify each individual that they let into the doors. Keeping security cameras on each of the entrances and exits also helps school officials identify and monitor those who enter and exit the school. Video surveillance in and around the school is also very important. This allows school officials to keep a close watch on everything that occurs both inside the school and elsewhere on the property. It also provides the authorities with the evidence that they need in the event that a crime or tragedy occurs. Along with providing security for these types of things, surveillance cameras can help cut down on theft and vandalism and can even help school officials keep a close eye on bullying and other misbehavior. Metal detectors also certainly have their place inside schools. Although it can seem a bit intrusive and frustrating to use a metal detector on everyone who walks into a school, taking these precautions can drastically reduce the number of guns, knives and other dangerous weapons that can make their way into the school; this makes this security precaution worth its while because it can prevent and catch countless items that could have otherwise harmed children inside the school, and it can also intimidate those who would otherwise consider bringing a weapon to school in order to deter and prevent crime. Along with locked doors, surveillance cameras and metal detectors, burglar alarms and security guards or school resource officers can also help cut down on crime. There are a lot of different measures that can be taken in order to keep a school safe, and there is really no such thing as taking too many precautions or striving too hard to keep the children and faculty as safe as possible. How Can School Administrators Increase Security in Schools? Although the vast majority of school administrators out there take school security very seriously and realize the importance of utilizing various security-related equipment and protocols in order to keep everyone inside each school as safe as possible, budget concerns to become an issue. Many school administrators wonder if it is possible to keep the children safe without spending large sums of money on purchasing and installing security equipment or using manpower for various security-related measures. Although this is surely a legitimate concern, it isn’t something that should get in the way of keeping both innocent children and faculty members who are paid to teach, care for and protect these children safe. Therefore, school administrators who are interested in making a change in their schools should consider talking to a professional about security equipment before assuming that the school’s budget simply can’t afford all of these purchases. Many people are shocked by just how affordable security equipment can be; in fact, in many cases, modern-day security equipment is much more affordable than the dated security equipment from yesterday, and it also provides school officials with a better level of security for their schools. If you are interested in learning more about the types of security equipment that are available and the costs that are associated with school security, you should consider contacting a professional security equipment company for more information and an accurate price quote. How Can Parents Help Increase Security in Local Schools? First of all, it is important for you to be active in your child’s school’s PTA group. Many parents do not realize the importance of attending these meetings and discussing concerns with teachers, principals and school administrators, but this is one great way that you can make changes and stay up-to-date on what is going on in your child’s school system. When you attend these meetings, you shouldn’t be afraid to speak up. There many be plenty of other parents in the room who are also wondering if the school needs to tighten up security and work harder to cut down on crimes and improve safety in the school, and they might be too afraid or shy to speak up. If you bring up your concerns in a logical and polite manner, you might be surprised by all of the things that you will be able to achieve. Also, consider attending other meetings in your community, having a petition signed by other people from your local area and taking other measures to increase security in schools. By working hard to promote security, you can make a difference in how safe your child’s school is. You can even consider speaking to a security expert to learn more about the various types of school-related security products that are available and the measures that can be taken in your child’s school to really make a difference. This professional can give you the information you need in order to approach school administrators correctly, and he or she may even volunteer to speak to the school board about this equipment. In the end, you shouldn’t back down if you are wondering, “Do schools need better security systems?”. Instead, you should strive hard to make positive changes. Not only can this help you protect your child from danger and crime, but it can make you feel better, and it can make a difference in the lives of many different children in your community. Contact us today for more information on school security measures.